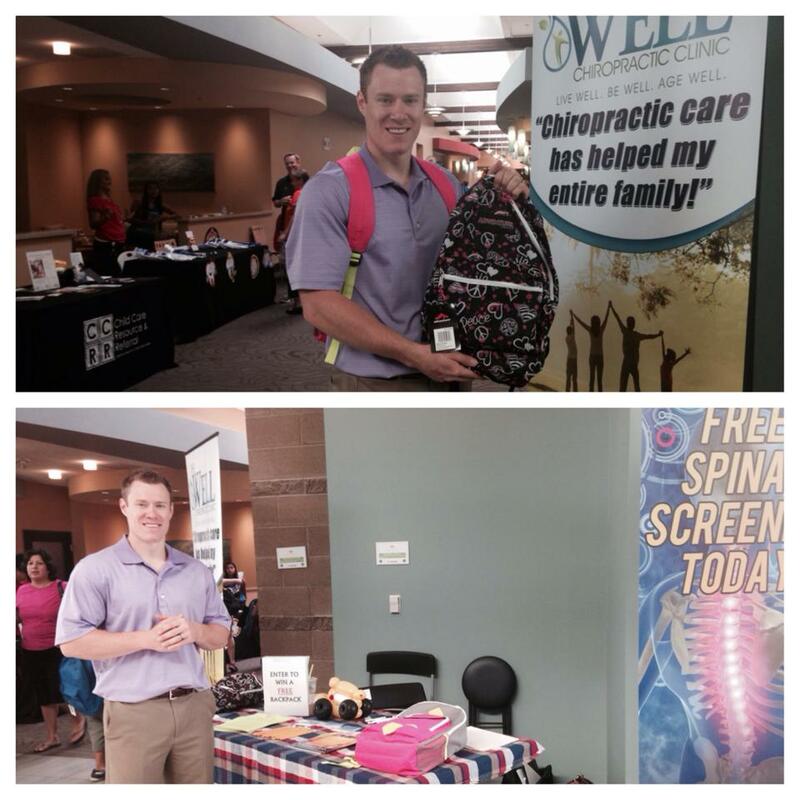 This weekend we got to participate in the Back to School Bash hosted by Adelante Healthcare located in Mesa, AZ. Throughout the event over 200 backpacks were given away, many of them full of supplies and tools to ensure the students get off to a great start this year in school! Dr. Garst and his office manager Karissa participated by doing a BackPack Safety Check with everyone that received a new backpack, making sure the kids were wearing and packing them properly. Each year over 5,000 trips to the emergency room are a result of backpacks and fortunately many of those visits can be prevented. In response to school just ramping up again we are offering a Back to School Safety Check for all students, which consists of a Consultation, Neurologic/Orthopedic Exam, Report of Findings, and a BackPack Safety Check for only $40.00. We don’t want any more children to have to suffer with back and neck pain from a backpack when it may be preventable! Call our office at (480) 656-1233 to set up your BackPack Safety Check today!